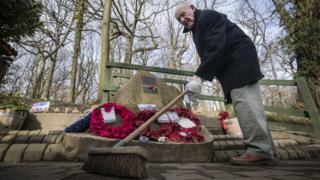 A man who has tended a memorial to 10 US airmen for decades is to be inducted in to Sheffield's "walk of fame". Tony Foulds continues to look after the memorial to the crew of the B-17 Flying Fortress 'Mi Amigo' that crashed at Endcliffe Park in 1944. A flypast honouring his efforts attracted thousands to the city after the BBC's Dan Walker aired his story. Sheffield Council said Mr Foulds had put Sheffield "on the world map". A proposal to add Mr Foulds to the city's walk of fame was put forward by council leader Julie Dore and backed unanimously. She said: "Many citizens from Sheffield make a significant impact at national and international level. 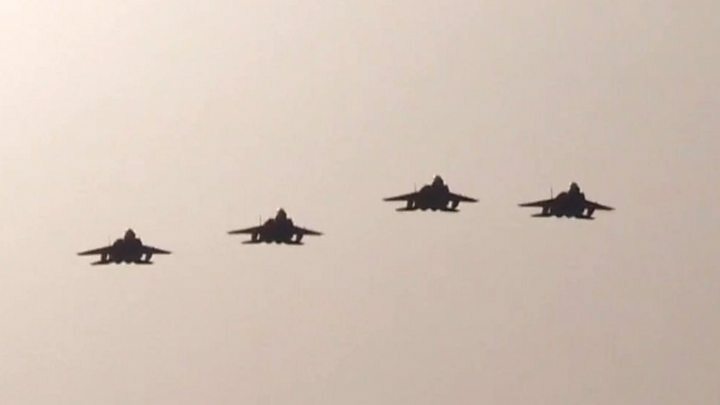 "Tony Foulds, with the help of BBC presenter Dan Walker, put Sheffield well and truly on the world map with a magnificent flypast organised by the US Airforce and Royal Air Force together with the council, BBC Breakfast, South Yorkshire Police and many others. "We want to thank Tony and the many many others who are so passionate about our city and make Sheffield a great city." Mr Foulds was a schoolboy when he saw the plane crash on 22 February 1944. A campaign for a flypast to mark the 75th anniversary of the crash started after a chance meeting between him and BBC Breakfast presenter Mr Walker. The flypast involved military aircraft from Britain and the United States. Mr Foulds will join other famous sons and daughters of Sheffield honoured outside the town hall, including Joe Cocker, Sean Bean, Gordon Banks, Sir Michael Palin and Dame Jessica Ennis-Hill.